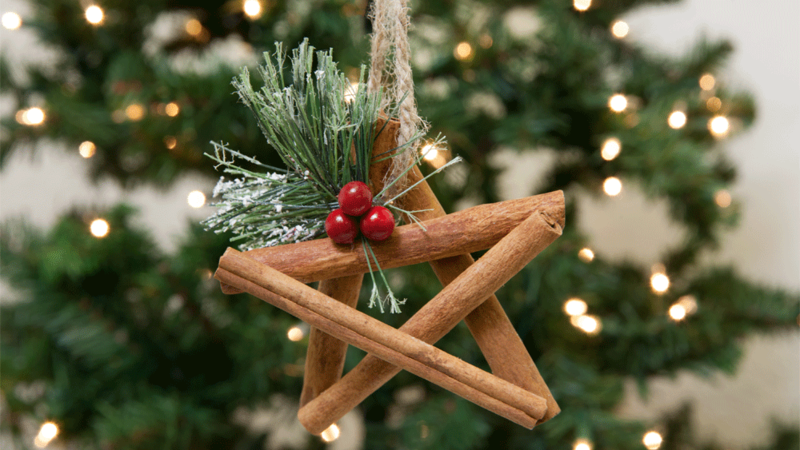 Whether it’s on top of the tree, or hanging as an ornament, a star is a part of everyone’s Holiday décor. 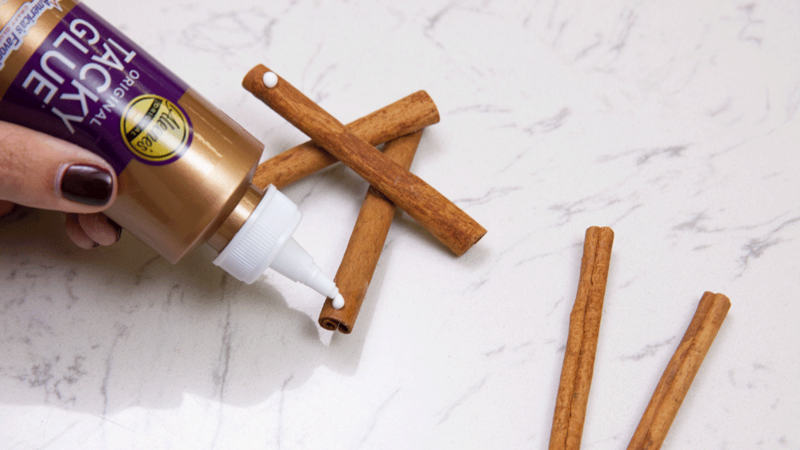 This year why not have a star that will make it feel even more like Christmas with a cinnamon scent. 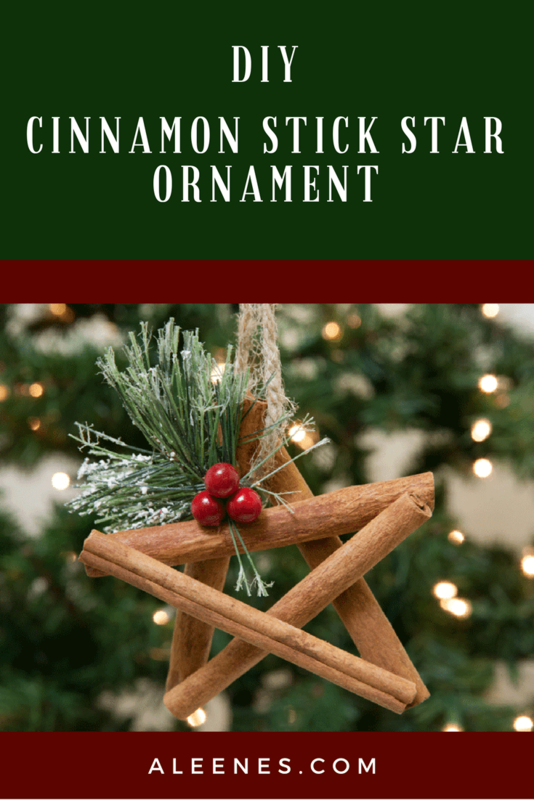 Try this Cinnamon Stick Star Ornament using Aleene’s Original Tacky Glue and fill your home with the scent of the holidays. 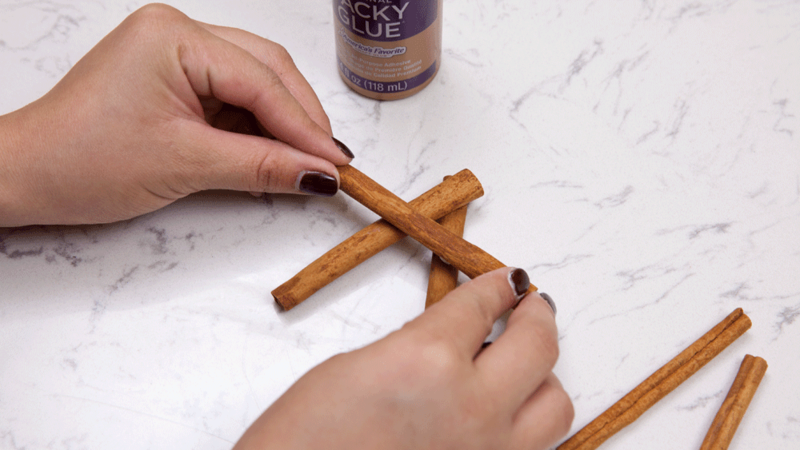 First take two cinnamon sticks and glue them in an upside down “V”. 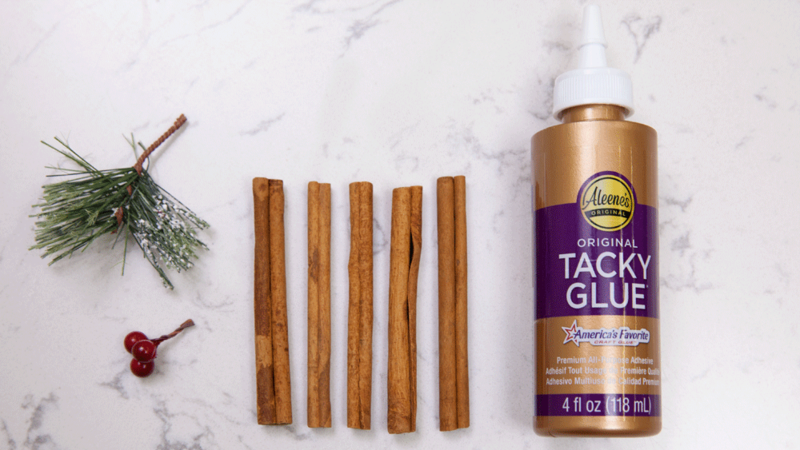 Then take another stick and glue it horizontally across both. 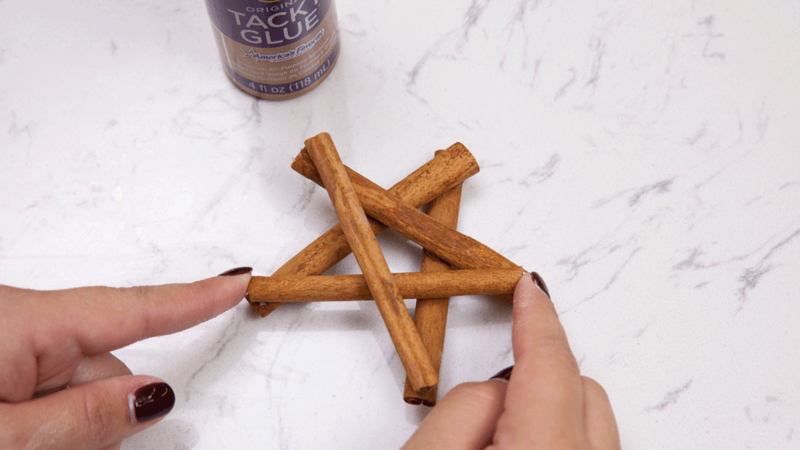 Take the fourth stick and glue it to one end of the horizontal stick and the bottom of the upside down “V”. 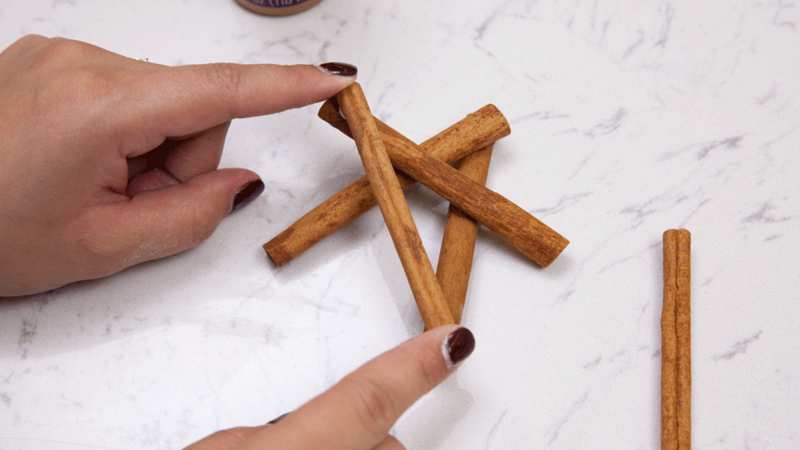 Then do the same with the last stick. 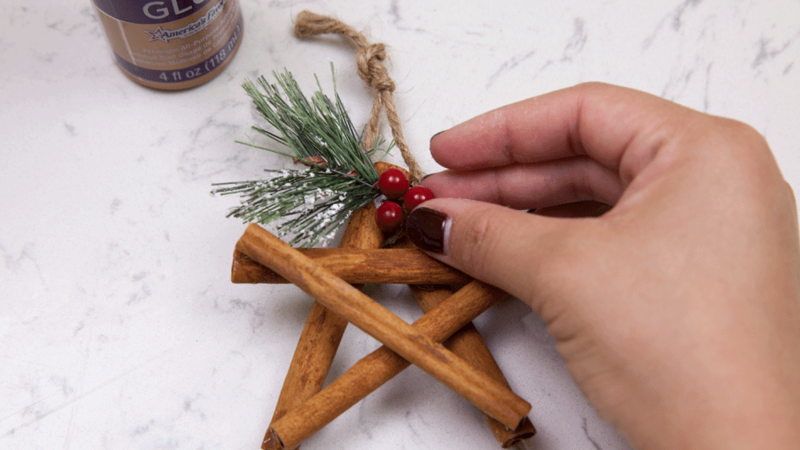 Tie the twine through the top, into a loop. 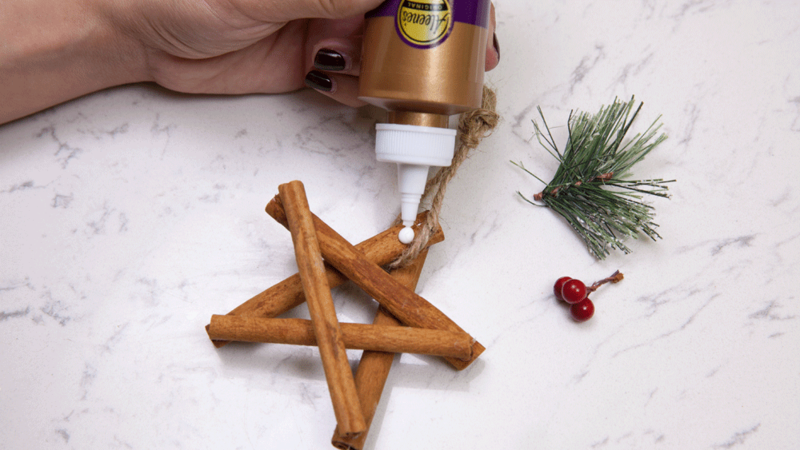 Now glue the tree bristle and berries to add a festive accent. 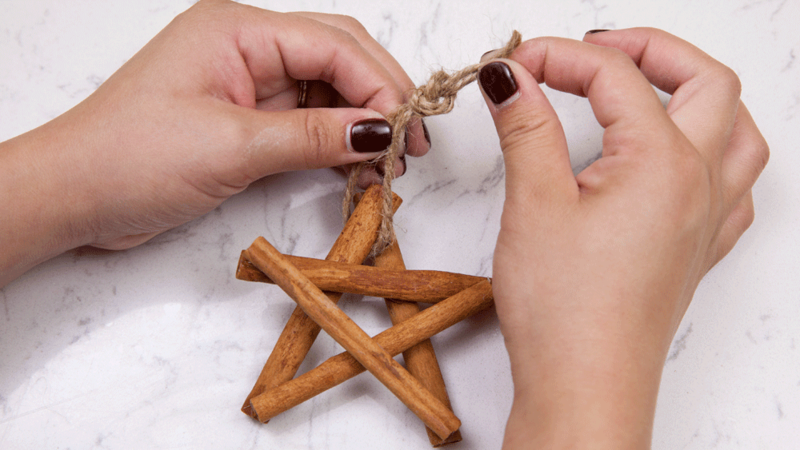 Your star is now ready to hang and fill your home with a sweet cinnamon scent. 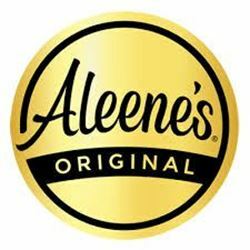 This is the perfect project for the whole family to take part in. 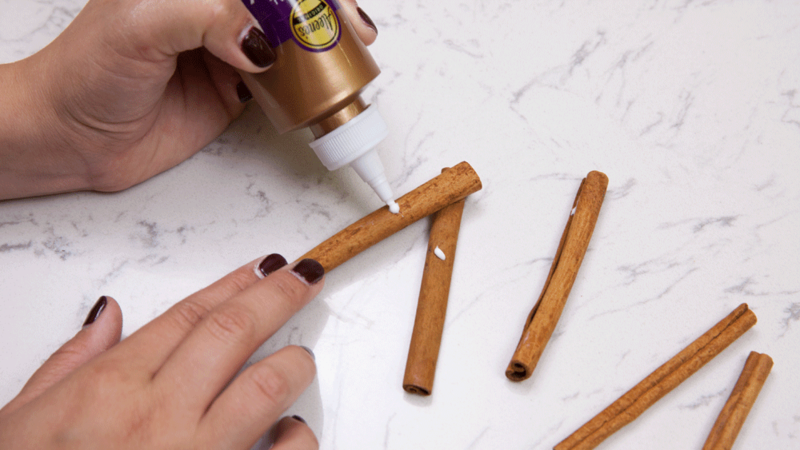 Another idea is to make a frame with the cinnamon sticks and glue a picture to the back.